Find the now, be (Here). We offer flowing Vinyasa classes in a heated room and restorative Yin classes in a warm environment. Our goal is to provide a welcoming community where you can strengthen & open your body and mind. Whether you’re looking to unwind or get upside-down, there’s a practice (Here) for you. No bookings necessary & we provide mats, so join us anytime upstairs at 1A Winter Street in Malvern. We believe in the power of community. There are differences between every mind, every body, every soul, and every practice. Our tribe of teachers are each uniquely inspiring & dedicated to helping you discover your own strength & connection. Come join our tribe and see what we can create together. We are passionate about sharing our love of yoga with as many people as possible and we would love to introduce you to this incredible practice. No bookings are necessary & we provide mats & props, so all you need to do is come along and give it a go. If you’ve got any questions, check out our FAQs or contact us any time. Join Jodie for an experiential journey through meditation, breath and movement to re-connect and re-balance the seven main energy centres of the body. Jodie’s strong and supportive style will leave you feeling powerful, centred, and deeply restored. 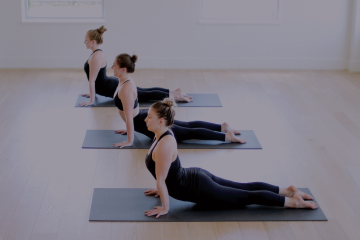 We’ve designed an incredible training to deepen your love of yoga, your trust in yourself, and your ability to communicate that passion with your students. Soak up Bali sunshine, while you dive deep into the transformational aspects of the practice. 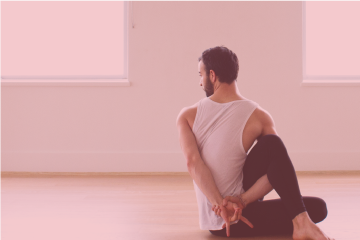 It’s an unforgettable, once-in-a-lifetime experience that will offer space to grow in your understanding of yoga and of who you’re (Here) to be. Ready to transform your life? Our Teacher Training program is unique. It’s designed to help you find your own authentic teaching voice and innate natural style. Build a foundation of anatomy, philosophy, & energetics to deepen your practice & give you the tools to share the practice with others. Peel back layers, discover who you really are, and recognise your own true potential. Includes weekends in Melbourne & 8 days in Bali.